Epson TM-U950 - Impact, receipt, journal & slip printing, 5.3 Lines Per Second, Serial Interface, has MICR and auto-cutter, no power supply included, Color: Cool White. Designed to handle slip, receipt and journal printing this 2.5 station printer combines user-friendly features with the convenience of a dual kick cash drawer. This highly reliable printer provides 88 columns slip or validation printing at high speeds. 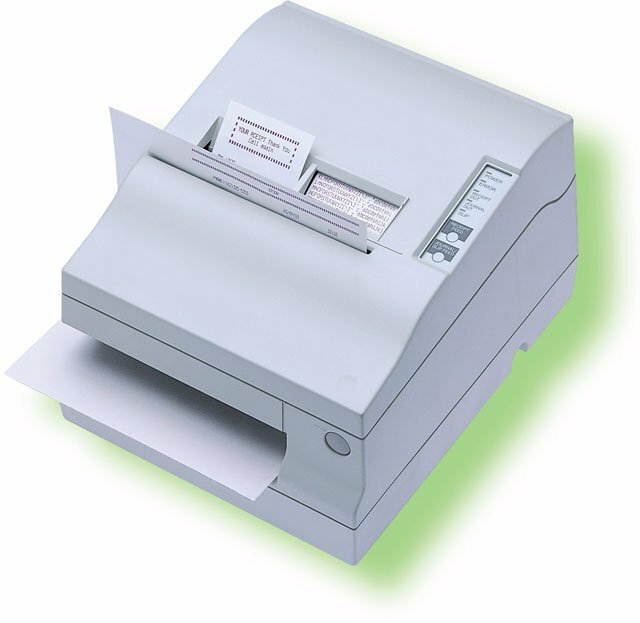 The TM-U950 is a 2.5 station printer highly suitable for POS applications with its 40 columns of receipt/journal printing per station and 86 columns of slip. This printer's user friendly features and compact design add to its flexibility. Featuring optional check printing and endorsement capabilities, the TM-U950 prints one original and four copies for added convenience. The Epson C31C151092 is also known as Epson POS Products	EPS-C31C151092	.